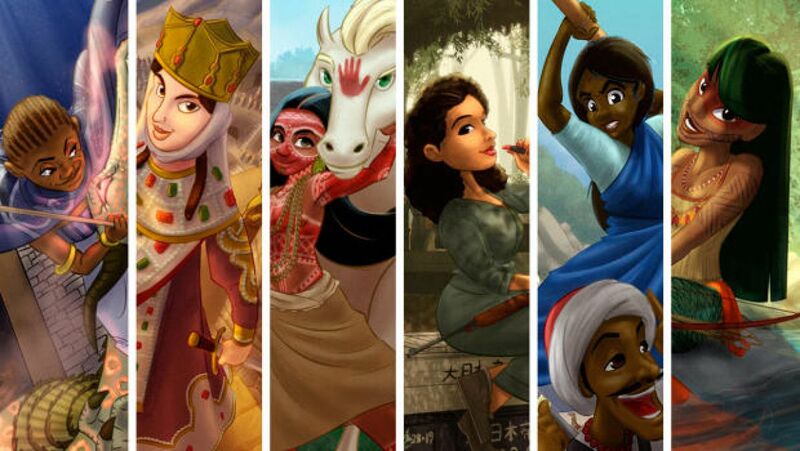 “Rejected Princesses” has been illustrating stories about princesses who’ll never have movies made about them. With a book to follow soon! Thanks to Co.Create for the outstanding followup coverage on RP! Always exciting to see the word spread! The students at BAYCAT included RP in their video project of the portrayal of women in the media. Take a look! Gulf News article - "The Animator of Princesses With Substance"
RP on WGN-TV's Midday Fix! Got to appear on a great segment for WGN-TV's Midday fix! Way fun! Viking princess who decided she'd rather be a pirate than get married. The poster child for childhood abuse, nobody should ever make a kids' movie about her.